Join FACT as we help prepare and serve food for the residents of the Haven for Hope transformational center. From making sandwiches and salads to cutting eggs and tomatoes, it's something different each time. Attire is closed-toed shoes and a t-shirt with sleeves (long or short). The "official" age is 15+, but as long as your dependent looks teenage-ish (and you're with them), it's typically no issue. 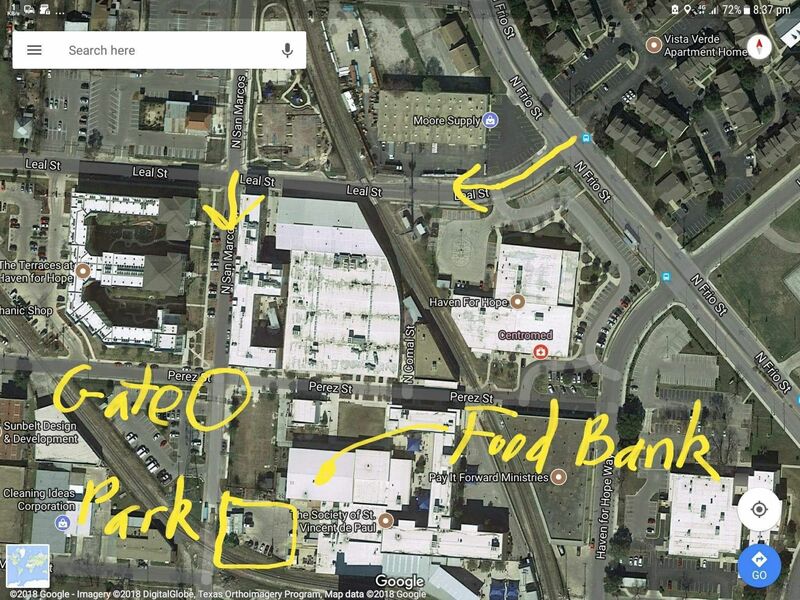 PARKING & Directions (see map picture for more detail) From Frio St. turn onto Leal and then turn left on N. San Marcos. Go straight until you get to the Red Gate. 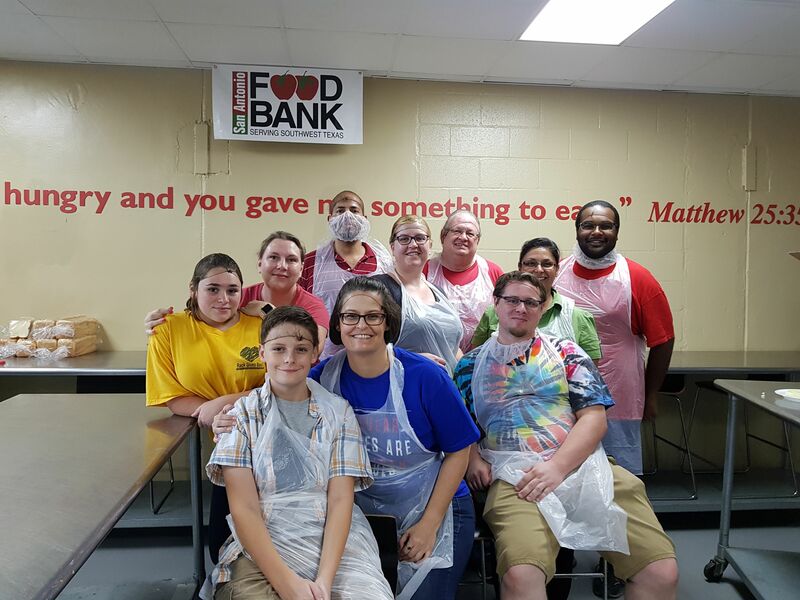 Once you arrive at the Red gate, press the button on the speaker and let them know that you are there to volunteer at the San Antonio Food Bank kitchen. Park in the area by the large SA Food Bank trucks. Walk up the loading dock ramp and knock on the SA Food Bank door.